Once you have joined a few groups, Facebook’s algorithm will start suggesting other groups with similar interests. You can browse through on a slider. I would recommended joining groups with more than 500 members to make the effort worth your time and energy. Comment only on topics that are specific to your business and where you think you can actually add value or give good advice. It might take a little time to work out which groups will get you the best results for the time you put in, but once you work this out, put your focus into only 3 or 4 those groups, rather than spreading yourself too thin. Once you have determined your key groups, post every week about a topic related to your business, such as trending news specific to your industry, or tips/advice for how to avoid making mistakes. This will build your credibility. People will start remembering you and the chances of referrals will increase exponentially. 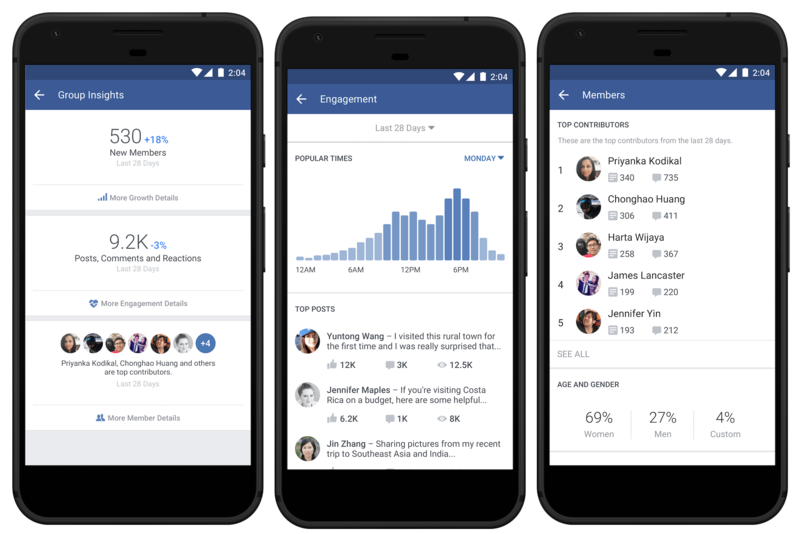 Starting your own Facebook Group can also reap major rewards. One business I know in particular has booked over $100,000 in business from her own Facebook Group in just one month. You do have to be committed and willing to put in time every day to the group, if you want to create the right group culture for the members and make sure it continues to grow. When starting a group, you should pick a name that is based on the interest, passion or pain point that people might search for, rather than the name of your business. This topic should be the focus of your group, rather than your products and services. For example if you are an organic food or beauty company, you could start a group called “Is it organic?” And it is a place where members could come and share their tips on organic food. Some examples the group members may share may be: recommendations for great organic cafes, organic brands they like, changes in a brand’s offerings such as free shipping, or simply information about trending issues around health and organic food. You want to make sure the culture of the group is about engaging with like minded people who are there to share their stories, experience and tips, as well as to seek advice from the group members. The worst thing that you can do is run a group where all the posts are promotional. It is important that you understand what drives the group members to action. In the example of organic food, some passion points of the group may be ‘eating healthy food that is free from chemicals’ and ‘eating food that is ethically produced’. Some pain points might be ‘confusion and mixed information about what is really good for you’ or ‘companies posing as organic or ethical under false pretences’. Use these points to address their passions with your product or service and provide solutions to their specific problems. Do not write anything negative anywhere in a group, not even about a competitor. Stay positive in all situations even where the circumstance may call for negativity, find a way to keep it positive. If you regularly use these strategies, you will very quickly start to see real results and increasing sales. And the best thing about using this strategy… you don’t need to give Facebook any advertising dollars!